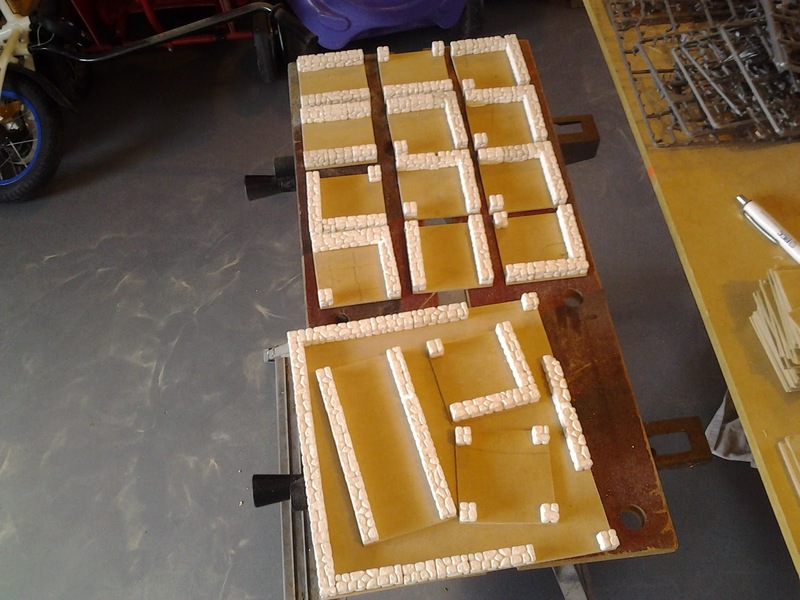 A while back i built these and i stumbled on a few photos i took while making them, they were really easy to build. 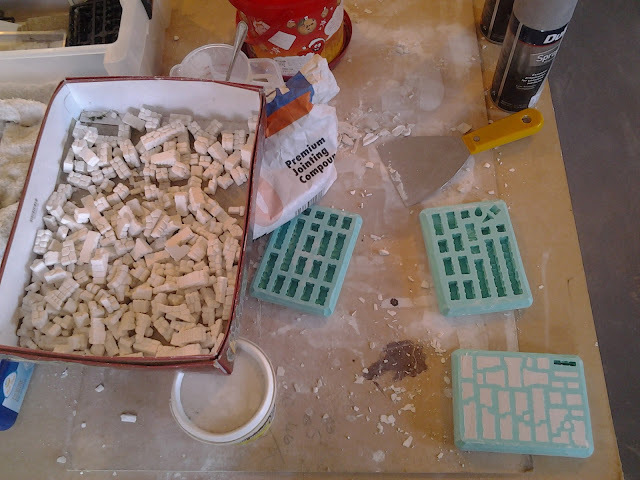 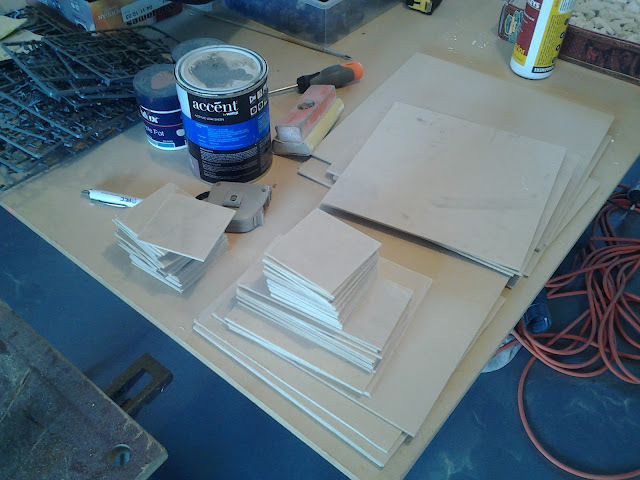 I cut up some flooring vinyl into one inch squares and cut up a bunch of mdf squares as bases, hirst arts molds just using wall plaster, washed lightly with several colours to give the old stone effect. Then i added the pre painted (textured concrete coloured spray paint) vinyl squares and painted the base surrounds at the bottom brown. 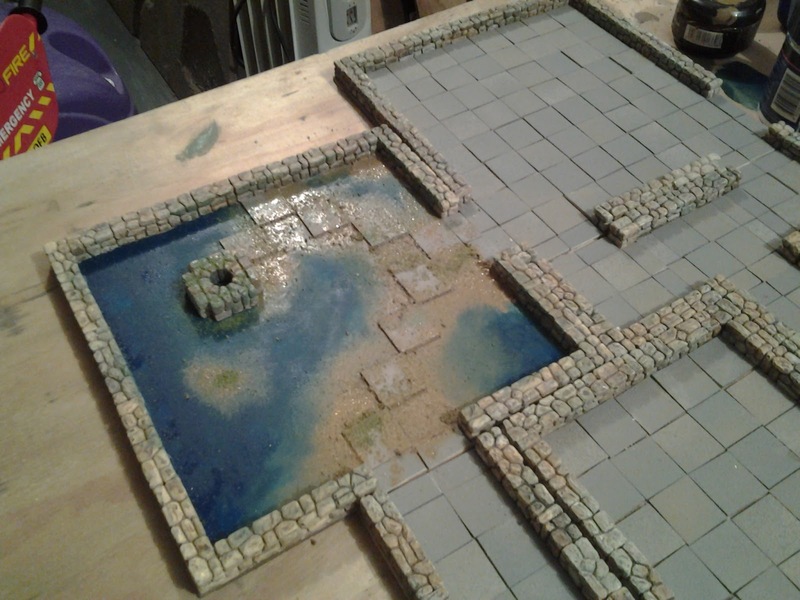 Ended up with a heap of tiles and rooms which il now use to play frostgrave, probably "the library" scenario. 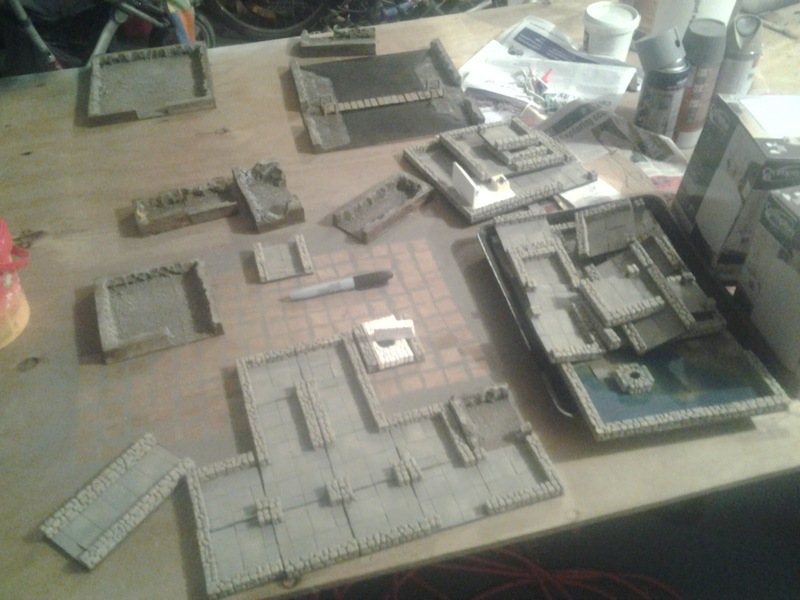 Im thinking of drawing up my own scenario with secret passages and the treasure will be underground in a central room with four passages going towards the table top corners which will have buildings or terrain features above them. 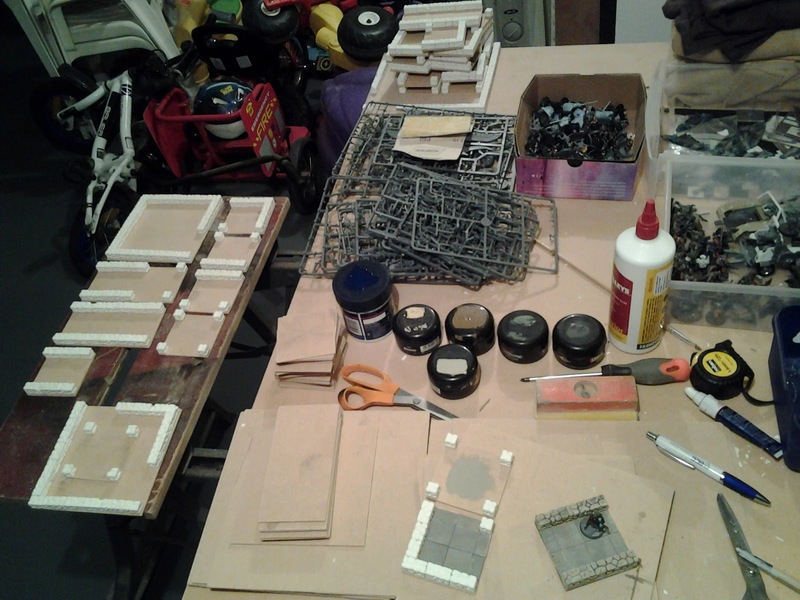 So id essentially hav two tables side by side, one above ground and the other below. 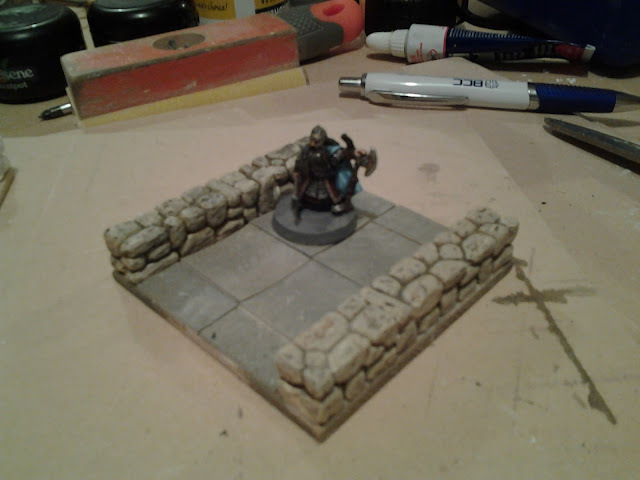 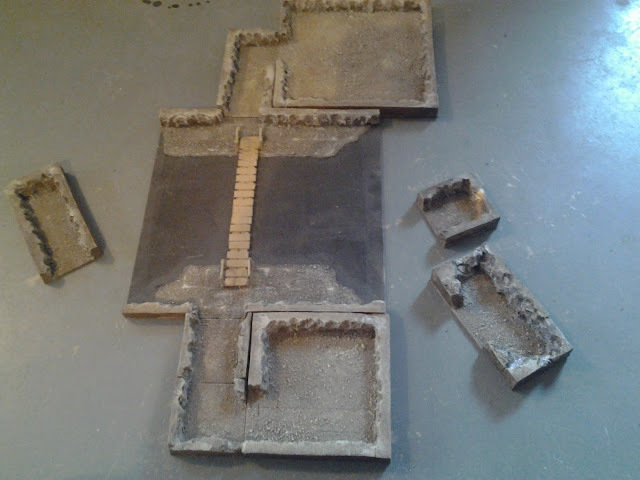 I also made a few cavern or mines pieces that i can ajoin to the passageways shown in the last photo. Very cool and I like the frostingrad sewers aspect. 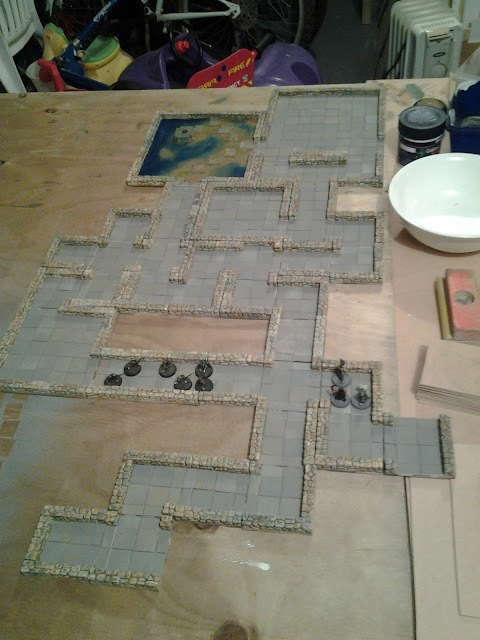 Just with your scenario, might want to tweak either the travel distances or number of turns?